West Marin County—especially Tomales Bay and the Point Reyes National Seashore—offers bucolic countryside views and scenic ocean vistas. These two destinations and all the stops in between are popular with nature lovers, outdoorsmen, and anyone who wants to get away from it all. Given its close proximity to the San Francisco Bay area, this excursion makes the perfect day trip or weekend getaway. Just grab your beach tote, load a cooler, and hop in the car. Olema (near the Point Reyes Seashore entrance) is located 37 miles from San Francisco. If you're coming from the south, a casual look at the map may lead you to take U.S. Highway 1 north. However, before embarking on this route, note that the section between Muir Beach and Sausalito is steep, curvy, and narrow. If white-knuckle driving is not your cup of tea, opt for an alternate route instead. To avoid the scenic and winding route altogether, take I-80 East out of the city, then take I-580 West to exit 452. Continue on Sir Francis Drake Boulevard to Olema. Combining the two routes gives you an option to enjoy the views on the way there (after all, the average speed is only 35 to 40 miles per hour on U.S. Highway 1) and jump back on the interstate when your vacation is over. The most majestic time to visit Tomales Bay and Point Reyes is on a clear winter day with good visibility and no crowds. But if you're headed to the beach, the warmer season may be better for basking in the sun. Still, summer crowds can jam up U.S. Highway 1 like a clogged drain and the weather tends to be gloomy then, anyway. (Have you ever heard of California's June gloom?) Also, the ocean's summer currents make the water much cooler in summer than in other months of the year. Still, if sunshine is important to you, check the forecast before you go or opt for more predictable weather patterns in spring and fall. Heading north from Olema to Tomales Bay, there are plenty of excursions along the way. 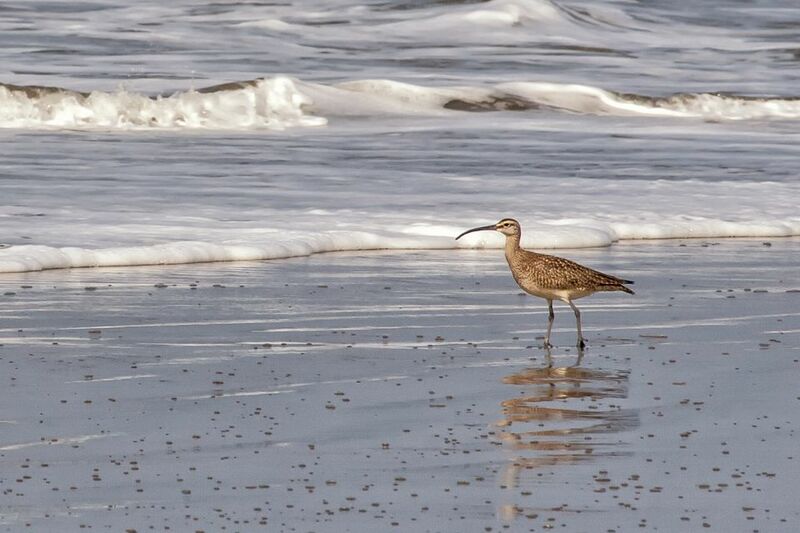 Abbot's Lagoon and Bolinas Lagoon both offer exceptional birding opportunities. In fact, Bolinas Lagoon is home to more than 245 different types of birds. For a spectacular site, visit the Audubon Canyon Ranch during the third weekend in March or the second weekend in July to experience heron and egret nesting season. Water lovers will enjoy the beaches along the Point Reyes National Seashore. Inverness Beach is one of the most scenic and sheltered beaches along the stretch, and Muir Beach and its overlook is a favorite of the locals. Check out the plentiful fauna there, like shorebirds and amphibians, but note that the north section of beach is clothing optional. You can also bring your kayak and drop it in the water at various locations or rent one at Blue Waters Kayaking or Point Reyes Outdoors. Both shops will let you in on the best local boating options. The oyster farms at Tomales Bay are open to the public and sell their yummy crustaceans as soon as they're harvested from the water. And don't worry, eating oysters only in months with an "r" in their name doesn't apply to this stretch of coast. So oyster lovers can go whenever! Make a reservation to picnic at Hog Island Oyster Company. The small fee they collect covers the use of shucking tools and a barbecue grill. You'll find a few small hotels and bed and breakfast options along the Point Reyes National Seashore. Check online hotel reviews and compare prices on lodging options in Olema, Marshall, and Point Reyes Station. Nick's Cove, just north of Marshall, is a favorite waterfront eatery with attentive service and exceptional food. Try their Crab Louis Salad or their Tomales Bay Barbecued Oysters to sample some local fare. And the Station House Cafe in Point Reyes Station features farm-to-table cuisine, a full bar, live music, and outdoor seating.